Do you realize that most of the locksmith services are demanded on an emergency basis? We rarely receive calls form clients who ask us to come in later, most of the times they want us deliver at once. It could be to rescue them from a residential, a commercial or even an automotive lockout. When in an emergency are you going to be thinking “Is there a locksmith near me? “, or “Where can I find a cheap locksmith near me?” But most locksmith providers tend to take advantage of the situation and fleece customers in their moments of emergency. 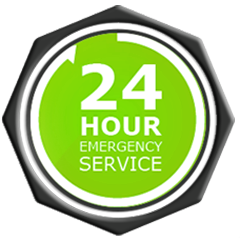 We at State Locksmith Washington DC make sure that you receive the best locksmith service on an emergency 24 hours basis 365 days of the year. Our fleets of mobile service vans are on-the-go. The moment we receive your call our emergency van will move to your location, anywhere in Washington, DC, assess your security disaster, provide an instant range of solutions, choose and consult with you to choose the right one and implement the same at that moment without delay at most affordable prices. What do we offer? Emergencies can strike at any hour on any day. It neither considers the day neither checks the time. In the same way, in providing 24/7 emergency services we are available at all times. To specify, we also work on holidays and during off-hours. It is not that we offer service only at homes or offices. Even if you are experiencing an automobile lockout or have broken keys in lock at your farmhouse we will make it to the site with the help of our mobile vans. Whether it is a residential lockout, a commercial lockout or a vehicle lockout we will be there to rescue you in no time. Just like keys, even locks can give problems. We solve any lock issue, a lockout, unlock, a lock repair, a lock replacement or installation of a lock. While we do lock installations and lock repairs we also make sure that we advice our clients on their security needs and help them maintain the security requirements and existing infrastructure, be it a residence , home or a vehicle. We offer regular maintenance and checks to keep you safe, at all times. Call us today at 202-558-0020 and we will look into all your emergency locksmith and security needs anywhere in Washington, DC!